(by Clyde Hughes, UPI) — The U.S. Supreme Court has agreed to hear its first gun rights case in a decade — a challenge from Second Amendment groups over strict firearms regulations in New York City. The New York State Rifle and Pistol Association and others have opposed the city’s gun restrictions, which are among the toughest in the nation. They prohibit the majority of licensed handgun owners from taking their guns outside their homes, except to gun ranges and other firearm-specific places [within New York City. The plaintiffs said the city’s rules forbidding them from taking their guns to ranges or other homes outside city limits amounted to a “draconian” transport ban in violation of the Second Amendment.]. The 2nd U.S. Circuit Court of Appeals in Manhattan ruled last year to uphold the regulations, saying they don’t affect the core of the Second Amendment. The ruling also said New York had demonstrated the [restrictions advanced the city’s interest in protecting public safety]. Tom King, president of the New York State Rifle and Pistol Association, argues the rules are excessive. “[Our lawsuit] is to stop a municipality from banning travel with a lawful object,” he told Spectrum News NY1. “Gun owners in New York City were getting arrested when they tried to fly outside of New York City. [The plaintiffs in the case also argue that New York’s stringent gun-transportation law violates their Second Amendment rights, as well as the Constitution’s commerce clause, as it prevents them from transporting their guns to a vacation home or gun range outside of the city. “Only New York City flatly prohibits its residents from removing their lawfully purchased and duly registered handguns from the city limits, even to transport them (unloaded, and locked up) to second homes at which they are constitutionally entitled to possess them, or to out-of-city shooting ranges or competitions at which they are constitutionally entitled to hone their safe and effective use,” the plaintiffs’ brief reads. The appeals court found that the plaintiffs’ rights were not infringed upon, since they can still practice at one of seven gun ranges in the city and, should they wish to keep a gun in a second home outside the city, could always obtain a second license from the relevant county. The case will be heard and decided in the court’s next term, which starts in October and ends in June 2020.]. [News NY1 reports: Joining in support of gun rights, 17 states said the court should break its years-long silence and use the case to define the scope of gun rights under the Constitution and the level of scrutiny, or skepticism, judges should apply to gun laws.]. Note: If a person has a New York state gun permit, it is not valid in New York City without also having a New York City permit. Read about the different types of permits on PAGE 2 here. Published at UPI .com on January 23. Reprinted here for educational purposes only. May not be reproduced on other websites without permission from United Press International. 1. Write out the text of the Second Amendment. 2. List the current Supreme Court justices and their ages. 3. When will the Supreme Court hear the case? 4. For what reason did the lower appeals court uphold the New York City gun regulations last year? 5. How did Tom King, president of the New York State Rifle and Pistol Association, explain the reason for their lawsuit? 6. What do you think: is the NYC regulation a violation of residents’ Second Amendment rights? Explain your answer. The gun owners and the New York State Rifle & Pistol Association, an NRA affiliate, filed suit in 2013 challenging the transport limits in federal court in New York. The 2nd U.S. Circuit Court of Appeals in Manhattan last year rejected the constitutional challenge and said the restrictions advanced the city’s interest in protecting public safety. 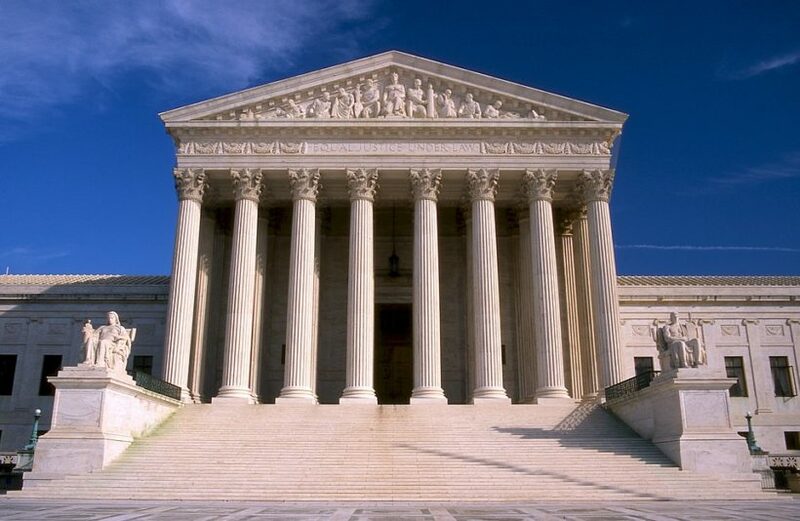 The appeals court said the restrictions did not run afoul of the Supreme Court’s 2008 ruling that found for the first time that the Second Amendment protected an individual’s right to gun ownership under federal law, specifically to keep a handgun at home for self-defense. The high court in 2010 extended that right to state and local laws as well. Since then, the justices had avoided taking up another major firearms case, despite gun rights proponents’ repeated attempts to extend those rights to other types of weapons and the hotly contested question of to what extent that right applies outside the home. In recent years, the court has left in place assault-weapons bans in New York, Connecticut and Maryland, as well as laws over gun waiting periods and concealed-carrying permits in California.